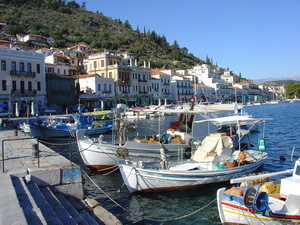 There are many beautiful areas all around Greece that make perfect destinations for your holidays and vacations.From the numerous Greek islands in the Aegean and Ionian seas to the magical regions of mainland Greece .One of the most popular parts of Greece for tourism throughout the year is the stunning region of the Peloponnese. The Peloponnese is located in south Greece, and is split off from the rest of the mainland via the Corinth canal. With easy access from Athens as well as from other parts of Greece. It is a place where the mountains and natural landscapes blend together perfectly with the crystal blue waters of the sea. The south coast is considered by many to be amongst the most beautiful in the region, and it is here that you will find the beautiful island of Elafonisos.It is here where A. Markos -"Pavlopetri" studios are located ,between the Pavlopetri islet across the Elafonisos island and the Punta coast in the village Viglafia Laconias. 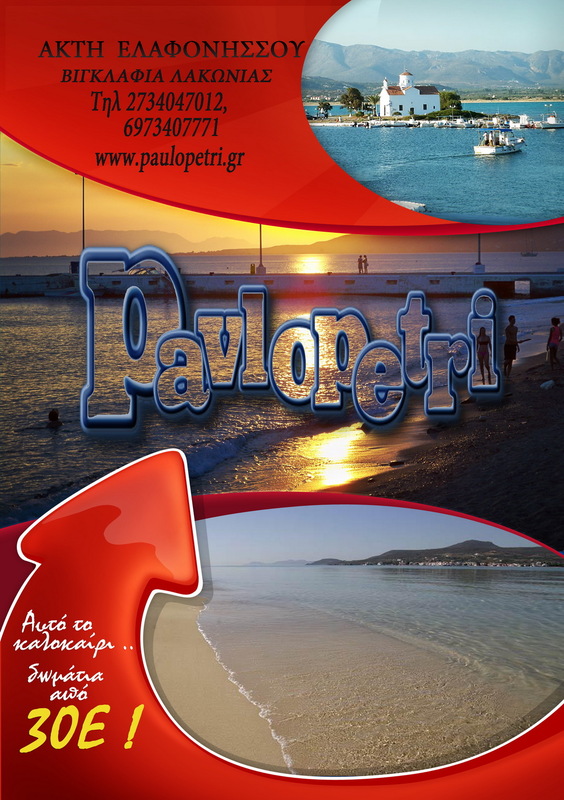 "Pavlopetri" studios, offer an unparalleled traveling experience,with a long-standing history of tradition and hospitality. Our rooms are the ideal choice for your accommodation here in Laconia. They are perfectly located to offer you the best of this magical part of Greece.With it's stunning sandy beaches, and crystal blue waters,it is a place where one cannot help but to relax and enjoy. Neolithic remains have been found in many caves along the Mani coasts. Homer refers to a number of towns in the Mani region, and some artifacts from the Mycenaean period (1900 BC - 1100 BC) have been found. 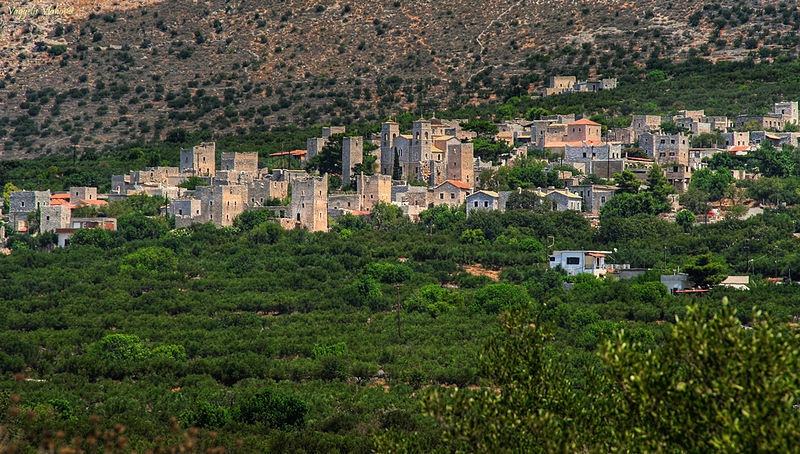 Gytheio , the ancient Gythium or Gytheion , is a town and a former municipality in Laconia, Peloponnese, Greece.